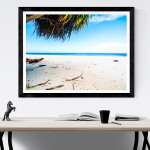 This is a relaxing print of the beach in Kilifi, a small town one hour North of Mombasa on the coast of Kenya. On my roadtrip through East-Africa I had the fortune to spend many days in this magical place, buying coconuts from our guy Barrack, who would tell us about his dreams and rap for us in Swahili. 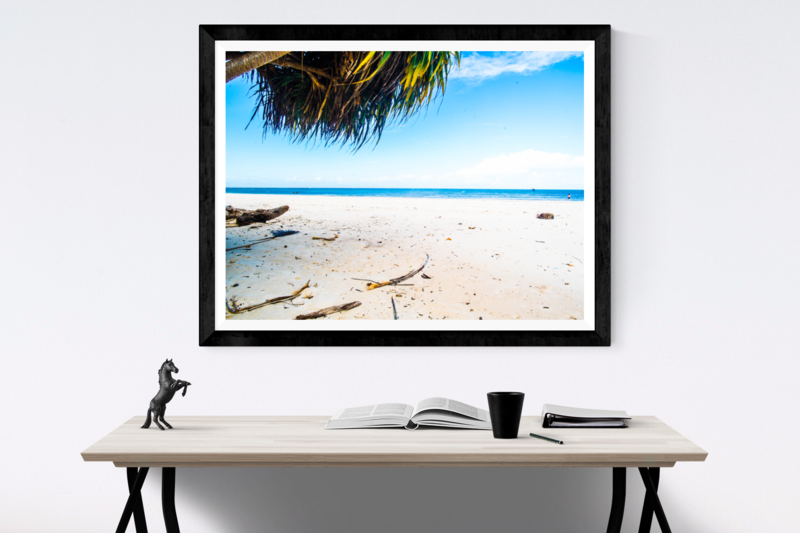 Printed on Hanemuhle Fine Art Rag paper, shipped in a roll so you can frame it however you like. If you want to read more about my travels through Kenya head over to Elephant Grass.